In the rush and lead-up to life’s biggest moments, it’s the small, thoughtful actions that can sometimes make the most impact. 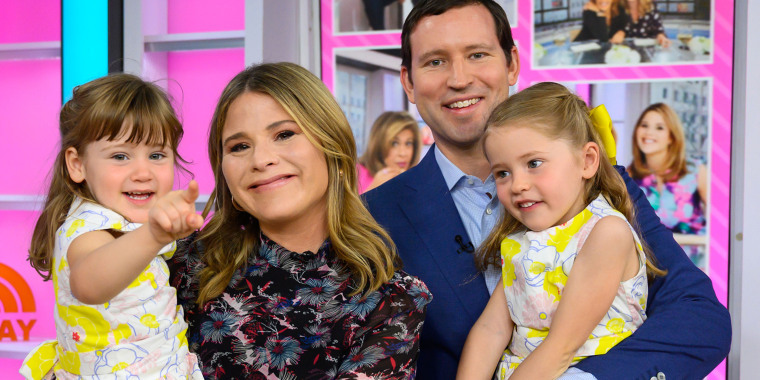 Wednesday on TODAY with Hoda & Jenna, co-host Jenna Bush Hager revealed she wrote messages to her two daughters — Mila, 5, and Poppy, 3, — on the days they were born. “Life gets complicated and things happen. You forget … but you can remember,” Jenna said. “I also wrote Mila and Poppy emails on the way to the hospital," Jenna said. "I had planned C-sections … (the letter for) Mila was probably after she was born but (the letter for) Poppy (was) on the way to the hospital. Jenna and her husband, Henry Hager, welcomed their first daughter, Margaret Laura 'Mila' Hager, in 2013 and their second daughter, Poppy Louise Hager, in 2015. This isn't the first time Jenna's shared sweet letters with loved ones. She followed in her grandparents' footsteps and penned a love letter to her husband earlier this year. Jenna’s letter-writing habit will also come in handy as she wraps up her third day and first week as the new co-host of TODAY with Hoda & Jenna. We love both of these ideas and hope Jenna never stops writing!